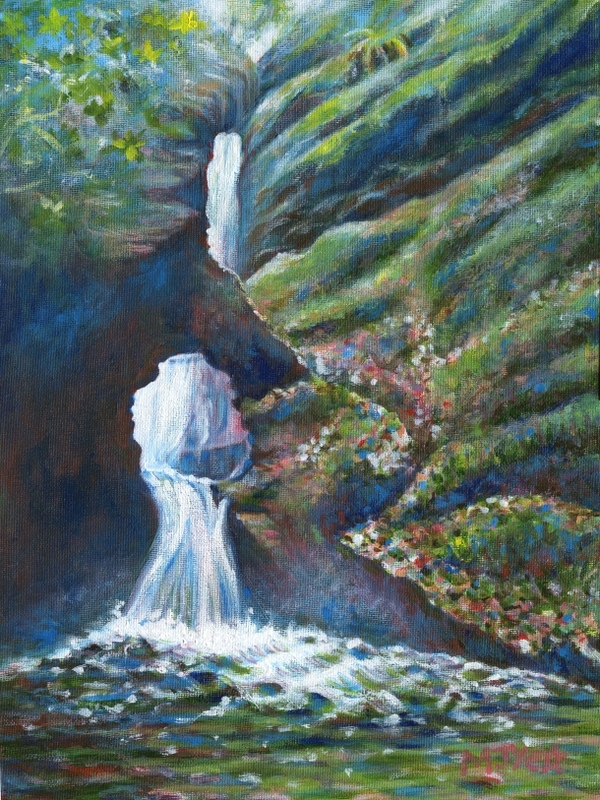 This is a beautiful place in Cornwall where the waterfall has carved a hole in the rock. Mythology surrounds the area and people hang trinkets and ribbons from the trees for good luck and to remember/bring good health to loved ones. They also add rocks to the 'fairy stacks' in the plunge pool of the waterfall.